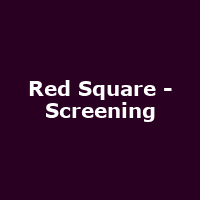 "Red Square is a new Manchester United fanzone. Situated in Victoria Warehouse and open prior to every home match-day kick-off, Red Square offers a fantastic selection of well-priced cold beers and other drinks, mouth-watering food (courtesy of Gourmet Burgers), music and pre-match build-up on our big screen. Join us before each home game for the biggest Manchester United fanzone, less than five minutes walk from Old Trafford."